TAFE – Tractors and Farm Equipment Limited, is an Indian tractor major incorporated in 1960 at Chennai, with an annual turnover of INR 93 billion (2014-15). The third-largest tractor manufacturer in the world and the second largest in India by volumes, TAFE wields about 25% market share of the Indian tractor industry with a sale of over 150,000 tractors (domestic and international) annually. TAFE's partnership with AGCO Corporation and the Massey Ferguson brand for over 58 years is a stellar example of its commitment to building long-term relationships with its stakeholders, through fair and ethical business practices. TAFE is also a significant shareholder in AGCO Corporation, USA – a US $8.3 billion tractor and agricultural equipment manufacturer. TAFE has earned the trust of customers through its range of products that are widely acclaimed for quality and low cost of operation. A strong distribution network of over 1000 dealers effectively backs TAFE’s four iconic tractor brands – Massey Ferguson, TAFE, Eicher and the recently acquired Serbian tractor and agricultural equipment brand IMT – Industrija Mašina i Traktora. TAFE exports tractors, both in partnership with AGCO and independently, powering farms in over 100 countries which include developed countries in Europe and the Americas. 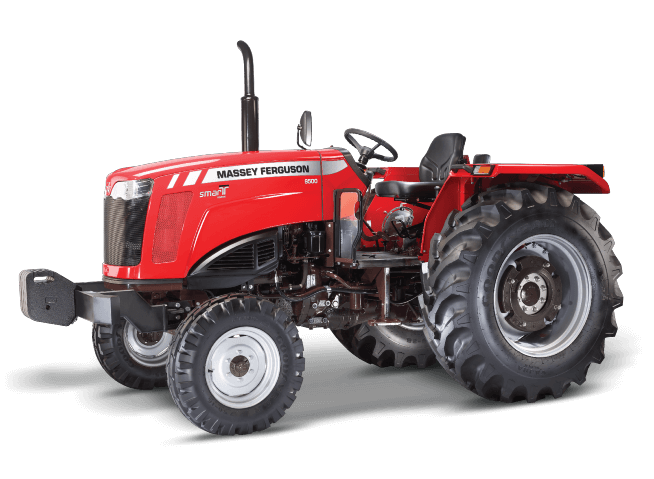 Massey Ferguson - a world-renowned premium brand offering a wide variety of tractors and farm machinery is an icon in itself and has been reshaping the agricultural landscape of the world since over a century now. 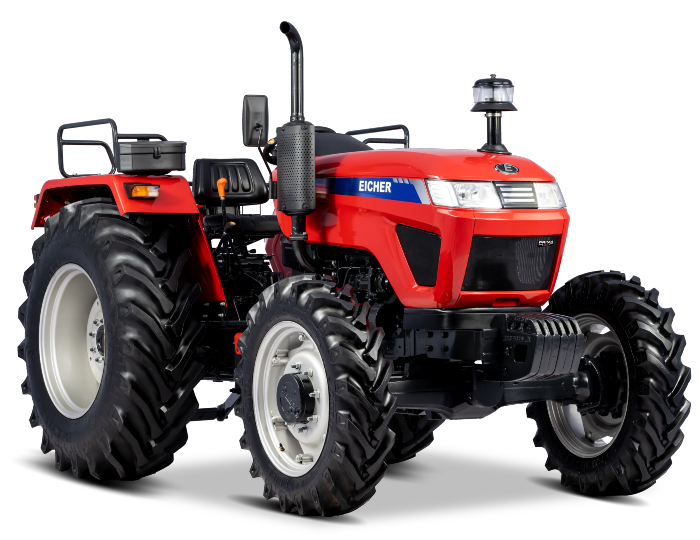 Recognized for its experience, innovation and superior build quality, this eminent global tractor brand offers one of the most comprehensive and versatile range of agricultural and utility tractors in the industry. Our range of premium and technologically advanced Massey Ferguson brand of tractors serve every farmer and every new mechanization need. Crafted with the finesse of TAFE, the Massey Ferguson tractors are built to last. Labeled under our signature brand, the TAFE range of tractors is tough, durable and efficient. 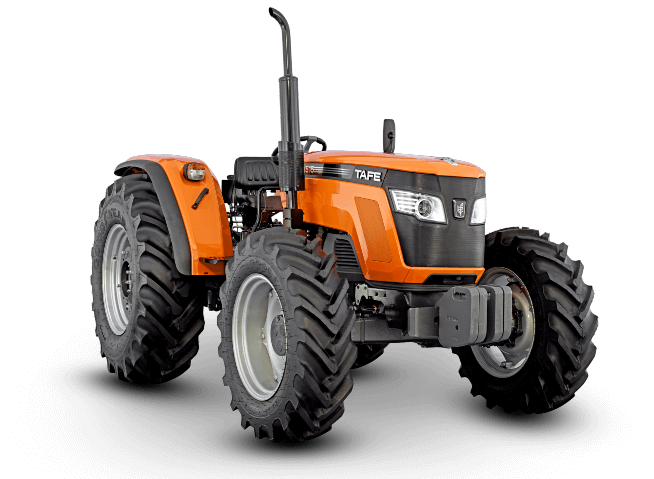 With an established presence in Africa, Sri Lanka, Bangladesh and parts of Europe, the robust utility tractors from TAFE are known for their dependability and relevantly optimized technology. The TAFE tractors have proven their mettle in working with vivid soil conditions and for a wide range of applications to cultivate various geographies around the world. Built to the taste of the land, a TAFE tractor is synonymous to toughness and stands for high standards of precision build quality, housing the expertise of TAFE acquired over decades of its being. 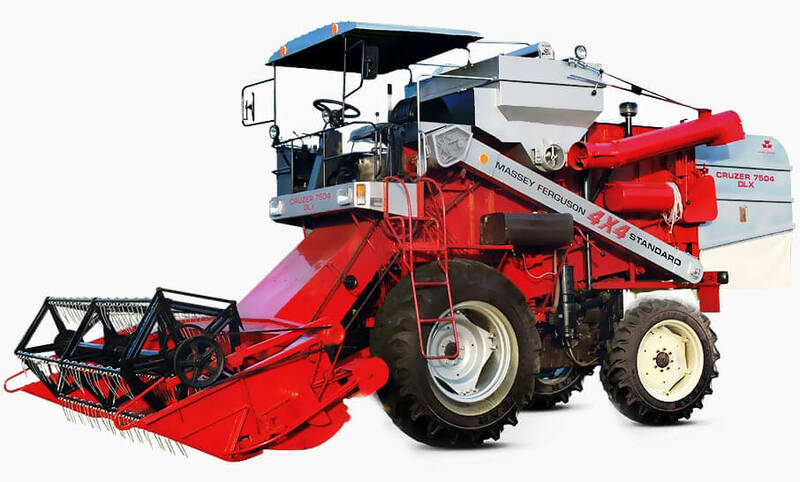 Harvesters are one of the most valuable pieces of machinery used by farmers globally. 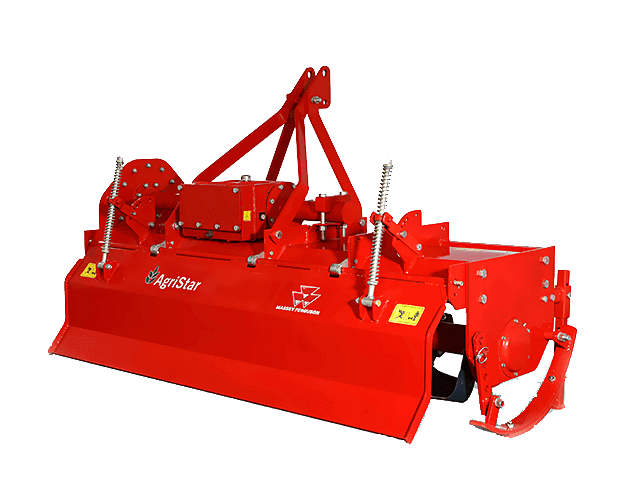 Performing a combination of functions, harvesters are impressive, not only because of the amount of time and physical effort they save, but also because of the minimal residue they leave behind. With great emphasis on quality, TAFE’s combine harvesters are field-tested to ensure high efficiency, a greater range of visibility and operator comfort. While tractorization is restricted to primary and secondary tillage and substantial use of haulage, and with the cost benefit equation changing with increase in labour, it is important to provide models of mechanization that are relevant to small and marginal farms. With a foresight that moving from tractorization to spearheading mechanization is the key to improve farm productivity and rein in labor costs, TAFE has been collaborating with world technology leaders to establish its Applications Business Unit (ABU) to efficiently answer the emerging needs of the global farming community. 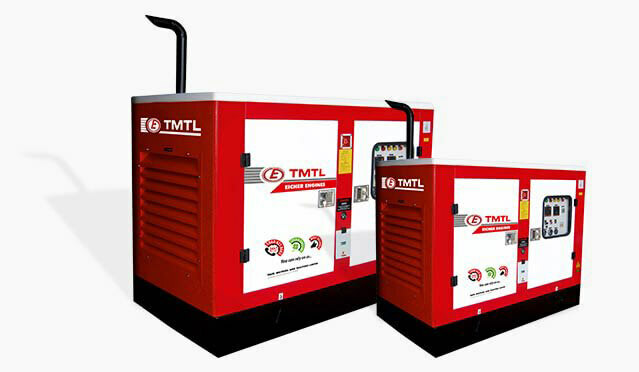 TMTL Engines Division is a unit of TAFE Motors and Tractors Limited (TMTL) with Alwar, Rajasthan, India, as its manufacturing base. TMTL is a wholly owned subsidiary of Tractors and Farm Equipment Limited (TAFE), part of Chennai based Amalgamations Group, which is one of India's largest light engineering conglomerates. The Amalgamations Group has a long and distinguished history of serving Indian and global markets with a pan India presence of over 41 companies and is renowned for its highest standards of integrity, ethics and values, backed by a highly skilled and competent workforce of over 15,000. 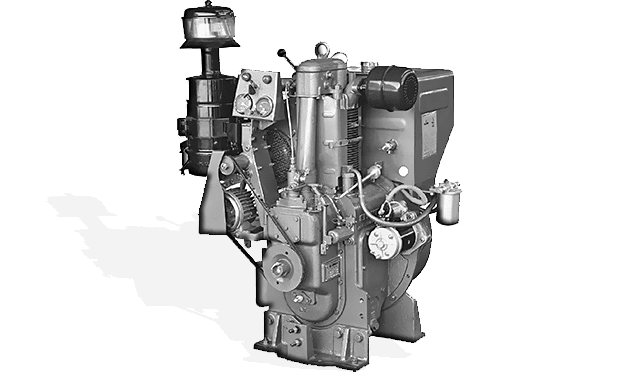 Marketed under the Eicher Engines brand, Agro Engines manufactures superior quality diesel engines in the range 12 – 46 hp. These engines are robust, low maintenance, fuel efficient and serve as an additional source of revenue to farmers and our rural customers. In a short span of time, the brand has earned the trust of most customers and is one of the most preferred brand names in the range. TAFE Access Limited – Hydraulic Cylinder Division was established in the year 2009, with a vision to emerge as one of the largest organization in the field of fluid power in India. The Engineering Plastics Division of TAFE (TAFE-EPD) manufactures high precision tools and custom moulded engineering plastics at its state-of-the-art facility in Bengaluru, Karnataka, and Maraimalai Nagar near Chennai, Tamil Nadu. TAFE's gears division is located at Kelambakkam near JFarm and has a capacity to produce 40,000 crown wheels and pinions a year. The capacity is essentially used for captive consumption by TAFE’s tractors. In 1998 TAL ventured into vehicle franchise business with a dealership for a variety of passenger cars and utility vehicles. The Vehicle Franchise Division of TAL markets TATA passenger vehicles in specific towns in Tamil Nadu and Škoda cars in Karnataka. The MF Timekeeper redefines class. 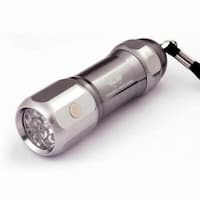 In the race against time, stand out with this timeless classic..
A unique blend of utility and style, this torch with 9 LED lights and steel finish is the perfect, handy travel aid. A compact and elegant business card holder with magnetic closure. The textured leather finish gives a premium feel making it a perfect accessory for your business meets. This premium, classic piece of elegance in microfiber is a cut above the rest. Woven in silk in hues of orange and gray, the Magna Silk Stole is an inimitable style statement worthy of everyone's attention. × DISCLAIMER: The information relating to TAFE’s products, product images, specification and availability provided on TAFE’s websites, digital and social media platforms are subject to constant revision, upgradation based on its policies and current product-line, and may not reflect the updated information. You are advised to contact corporate@tafe.com, our regional sales representative, or your nearest authorized dealer / distributor in this regard. Products listed on TAFE’s digital platforms may not be available in certain geographies and may be enhanced or discontinued without any prior notice. TAFE does not verify, endorse or approve any information relating to itself, its products, their price, specification, availability etc. provided by third-party on any platform whatsoever, including websites, aggregator sites, social media platforms, RSS feeds, instant messaging platforms, non-digital platforms - print media, trade journals, publications etc. It is hereby made clear that no information derived from such third-party shall be treated as accurate and TAFE shall not be responsible for the same in any manner whatsoever.